The LEX L10 Mission Critical LTE Handheld is purpose-built to deliver the Public Safety Experience (PSX) that responders need to work faster, safer and smarter. 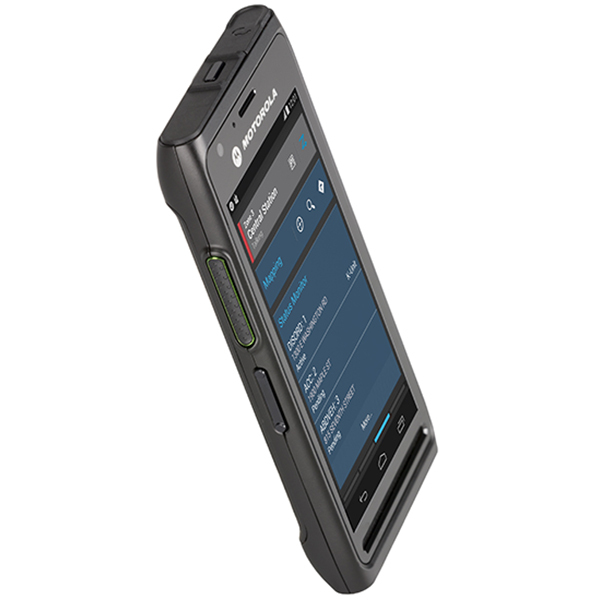 It addresses the unique requirements of public safety personnel by delivering the mission critical capabilities not available on consumer-grade smart-phones. The device is equipped with the PSX User Interface that is customizable, role-based, and adaptive. It intelligently aggregates and prioritizes information to only present what is critical for the user, based on their current status and activity. The sleek LEX L10 is ergonomically designed for one-handed operation with a no-slip grip and a 4.7-inch touch screen. It features best-in-class audio performance with dual 1 Watt front-facing speakers, tri-microphone noise and echo cancellation, and a dedicated PTT button for fast voice collaboration. It can operate in covert mode and can be securely touch-paired with Motorola APX P25 radios via mission-critical Bluetooth. It uses a removable battery that enhances long-term usage in the field. The LEX L10 is secured with hardware encryption and Security Enhanced Android OS. It works on Verizon 3G/4G LTE and Public Safety LTE, ensuring seamless roaming and optimal coverage at all times. APX P25 Radio Collaboration application provides BT-based remote control and management of radios' zones, channels, volume, signal strength, battery life, PTT and emergency.